Learn the secret to acquiring a new language while experiencing an easy (and fun) Spanish class. 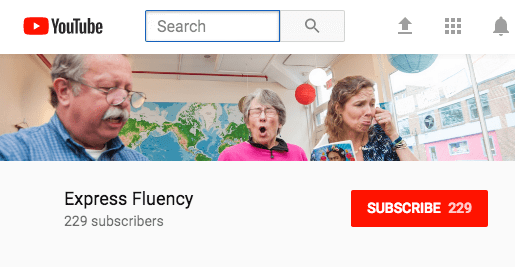 This event is open to anyone curious about Express Fluency’s unique approach to teaching languages. No prior language experience is required. Elissa’s Spanish class was fun, funny, active, interactive,dramatic, nonthreatening, and very effective!!!!! I highly recommend this class to anyone who wants to learn Spanish. I learned more in this free class than I expected to in the first week. It was intuitive, warm, and above all fun.